antique-style 4 piece bird decorations holiday home collection by nova68 . inspired by vintage finds; these small handcrafted, antique look, glass and tinsel bird ornaments provide a festive touch for the christmas tree. 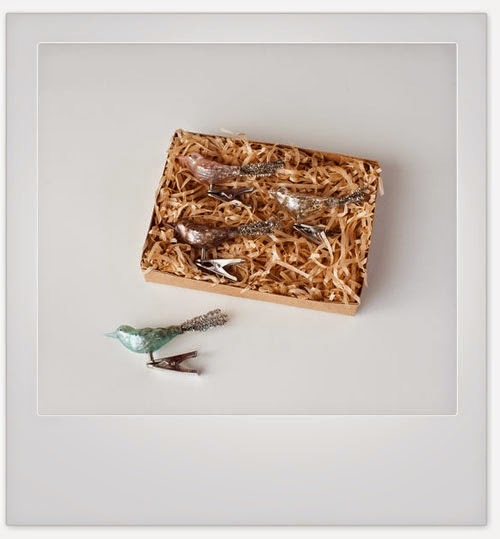 stylish set of 4 bird ornaments is nicely presented in a box suitable for gift giving as shown. use a single set of 4 birds as an accent, or, display them in multiples for an amazing holiday display.